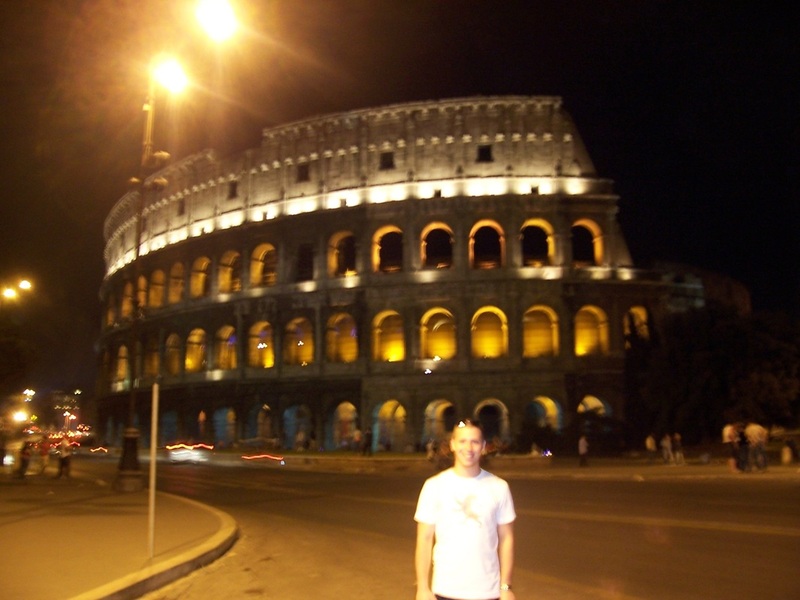 Between the 700s BC and the AD 100s, Rome grew from a tiny village to a huge city. As the city grew, so did its population, until Rome became home to more than a million people. Millions more lived in territories that the Romans controlled. Together, these territories surrounded the Mediterranean Sea, forming one of the largest empires the world had ever seen. Romulus and Remus are the mythological twin brothers who were raised by as she-wolf and are believed to be the founders of Rome in 753 B.C. The spread of the Roman Empire was partly due to the fact that the Roman army was so well organised. 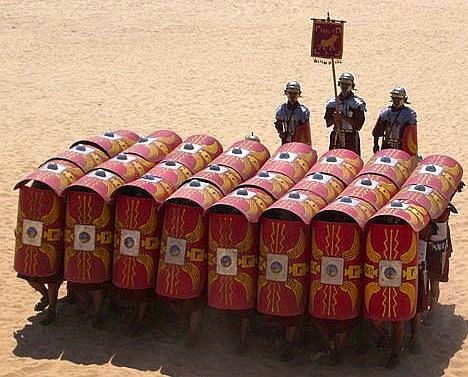 The Roman army was the most disciplined and efficient killing machine that the ancient world had ever known. Its men were well-equipped and highly trained, and operated in strict formation on the battlefield. As Rome gained more territory, its government changed. Originally ruled by kings, Rome turned into a republic run by elected leaders. For hundreds of years these leaders helped Rome become larger, richer, and more powerful. Rome's laws were written down and kept on public display, known as the 12 tables. These written laws were supposed to help protect Romans from unfair treatment. Because everyone knew the laws, officials had to treat everyone the same. Rome's laws protected the rights of the city's citizens, the people who could participate in government. Only citizens could hold public office or vote. In addition to the rights to vote and hold office, however, all citizens had duties to perform. For example, citizens had to pay taxes, and male citizens had to serve in the army when needed. Most Romans were very proud of their citizenship. They thought it was an honor to be a citizen of Rome. Roman citizenship was valued so much that many people the Romans conquered also wanted to become citizens. The three Punic Wars between Carthage and Rome took place over nearly a century, beginning in 264 B.C. 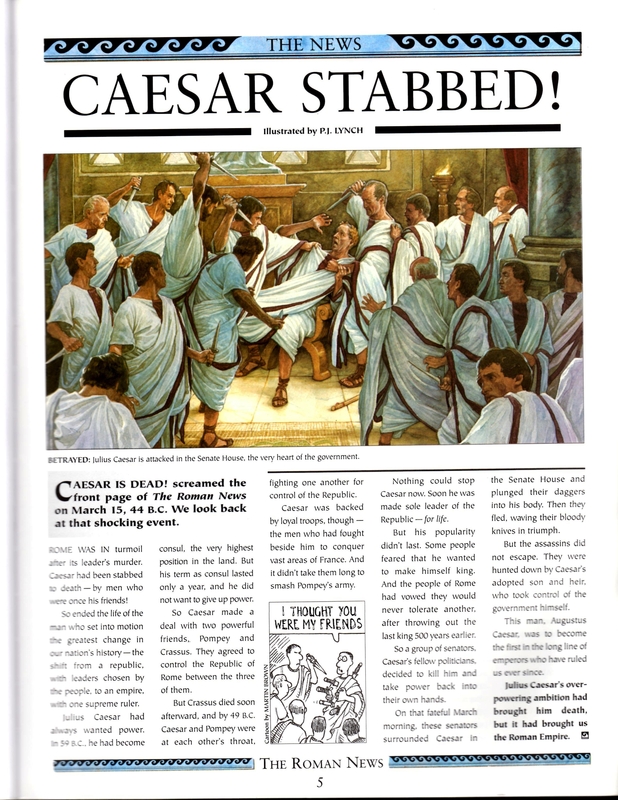 and ending with the destruction of Carthage in 146 B.C. By the time the First Punic War broke out, Rome had become the dominant power throughout the Italian peninsula, while Carthage–a powerful city-state in northern Africa–had established itself as the leading naval power in the world. The statesman and general Julius Caesar (100-44 B.C.) expanded the Roman Republic through a series of battles across Europe before declaring himself dictator for life. He died famously on the steps of the Senate at the hands of political rivals. Julius Caesar is often remembered as one of the greatest military minds in history and credited with laying the foundation for the Roman Empire.